Our founder, attorney Thomas N. Jacobson, has been practicing real estate and business law for over 43 years in Riverside and Utah. Our law firm is proud that Mr. Jacobson was chosen as one of Southern California Super Lawyers in 2007. Super Lawyers is a listing of exceptional attorneys in each state based on the independent research of Law & Politics magazine and the ratings of their peers. As a further testament to attorney Thomas N. Jacobson’s reputation in the real estate and business communities, he has been awarded the prestigious "AV" rating from Martindale-Hubbell. This distinction signifies pre-eminent legal ability and the highest level of ethical standards. He is also the recipient of many other awards attesting to his legal knowledge and service to his clients. 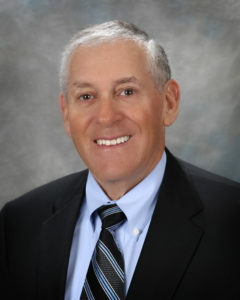 Attorney Thomas N. Jacobson is a distinguished mediator on a regular basis for the California District Court of Appeals. He is sought for private mediation and has a high success rate in resolving complex disputes. The Law Offices of Thomas N. Jacobson is dedicated to delivering superior client service to the residents and business owners of Riverside and Utah. As business owners ourselves, we understand that prompt, responsive communication between client and attorney is essential. We are available 24 hours a day, seven days a week. Contact us in our Riverside office at 951-682-7882, or submit our web form, and a member of our staff will respond to you promptly.